Time and ammunition are precious. 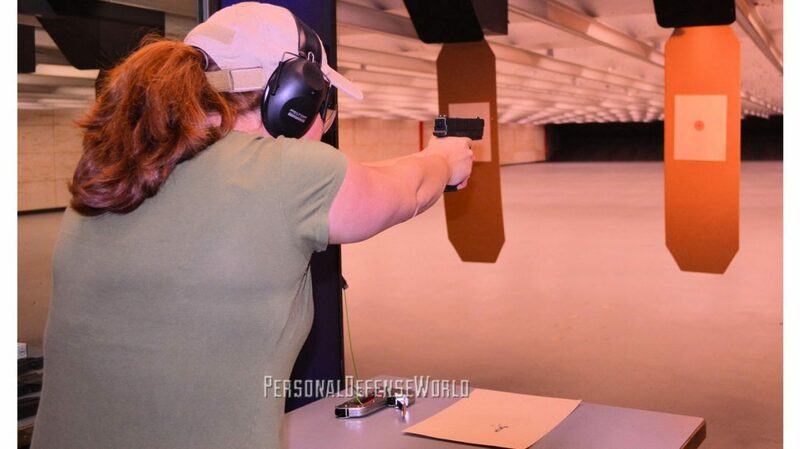 So how do we make the most of our time at the range? Plan your practice. Do you carry? 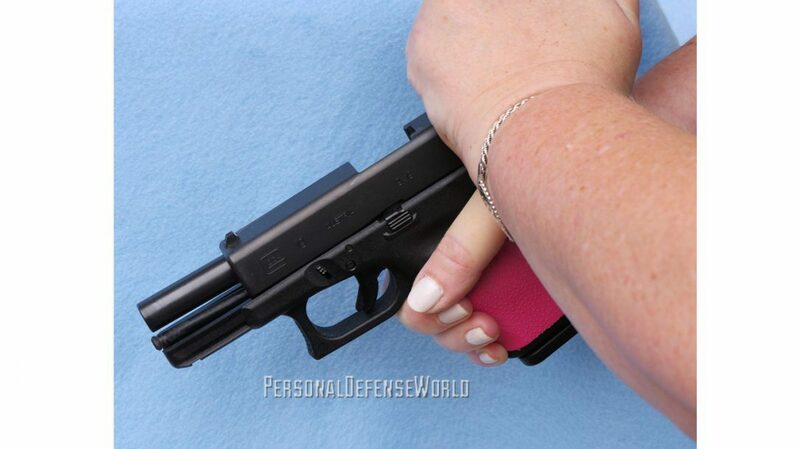 If your range allows it, practice drawing from your holster. If not, you can drive out to extension from a high compressed ready (HCR) position. In an HCR, you bring the gun to mid-chest, close to the body. 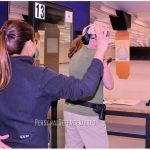 It’s a great position in which to hold your firearm when you are not actually aiming or moving, as it gives you good control if someone were to try to grab your gun. Also, in HCR, your arms are relaxed, placed in a resting position between shots. 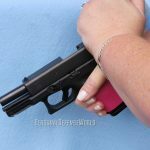 Do you have a double-action/single-action pistol? Decock between shots so you can practice making long, heavy trigger pulls. To warm up, start fairly close in (I like to shoot a magazine at 8 feet). Then move your target out a few feet at a time. If your accuracy suffers, your target is telling you something. 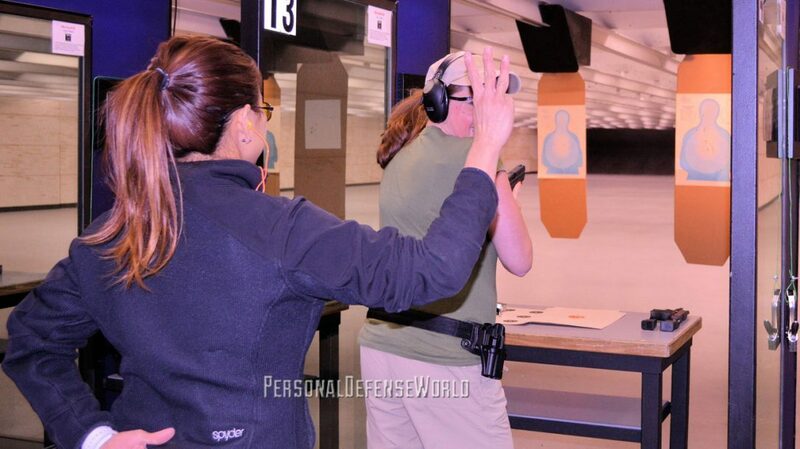 A good instructor can help you read your target to see what you are doing. How far out? The average defensive encounter is close, between 5 and 12 feet, so it makes sense to practice at that distance. Should you push yourself once in a while? Sure! 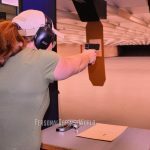 I had to shoot to 50 feet to qualify for my pistol instructor certification—that was intimidating. I can do it, but I don’t practice at that distance regularly. 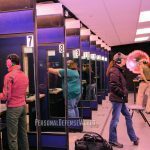 The two types of defensive-shooting skills you’ll want to practice are speed and precision shooting. Practicing speed shooting can be a lot of fun. It involves unsighted fire using your natural kinesthetic alignment, with both eyes open and focused on your target. To practice, drive out from an HCR and take two, three or four shots. Don’t develop a pattern of two shots and back. You don’t know how many shots you will need to stop a threat in a defensive situation. In defensive speed shooting, you are trying to place as many shots as needed as fast as you can in the high-center chest area. This is not 10-ring, 8-ring shooting; this is yes or no—either you are in the area or you aren’t. If your shots are too close together, shoot a little faster. If your shots are spread out and you miss, slow down a little. You’ll want to strike a balance between speed and precision, shooting quickly while still placing at least 80 percent of your shots in the chest area. 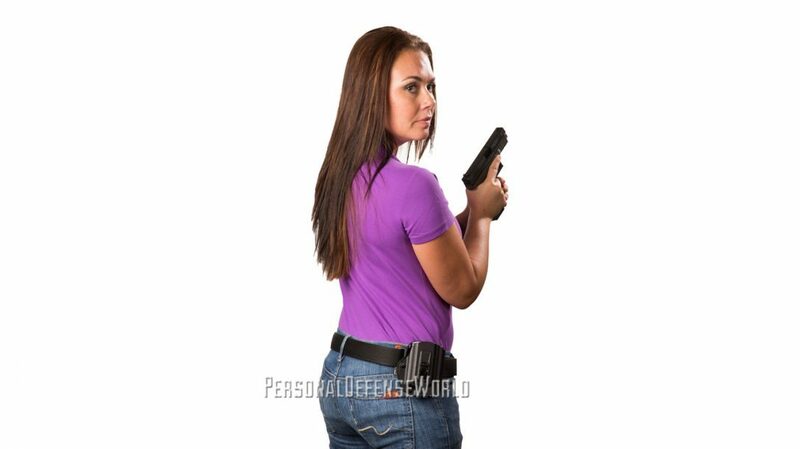 Precision shooting is generally thought of as using sights. You are aiming for a small dot on the target. (If you can hit it consistently without your sights, great. The situation will dictate the need for sights. But, you should practice precision shooting because you never know when you will need it.) Flip your target over so it is a blank sheet. Shoot one round—that becomes your aiming point. Then, try to put several rounds through that same hole. You probably won’t need to be that accurate in a defensive situation, but isn’t it good to know that you can be if necessary? If you are having trouble, check your sight alignment. Look through the rear sight and focus on the front post, which should be centered between the rear sight notches. The front post will cover the hole at which you’re aiming, so you probably won’t see it. Once you have practiced a bit of defensive and precision shooting, mix them up. If you’re shooting defensively, make your next shot a precision or a headshot. Be sure to practice scanning your surroundings (there may be a threat other than the one in front of you). After firing, come back into an HCR position and, keeping your gun pointed downrange, do a 360-degree scan, looking over one shoulder than the other to see if anything’s behind you. This needs to be done slowly enough to allow you to process information, but fast enough that you don’t lose track of what is in front of you. Doing so breaks your focus on the target yet helps you maintain awareness of what is around you. When you are ready, practice everything one-handed. You never know, you might be injured or caught holding a child or a pet. 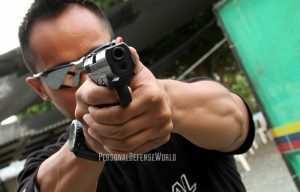 Are you comfortable shooting with your strong hand? Try shooting with your support hand. 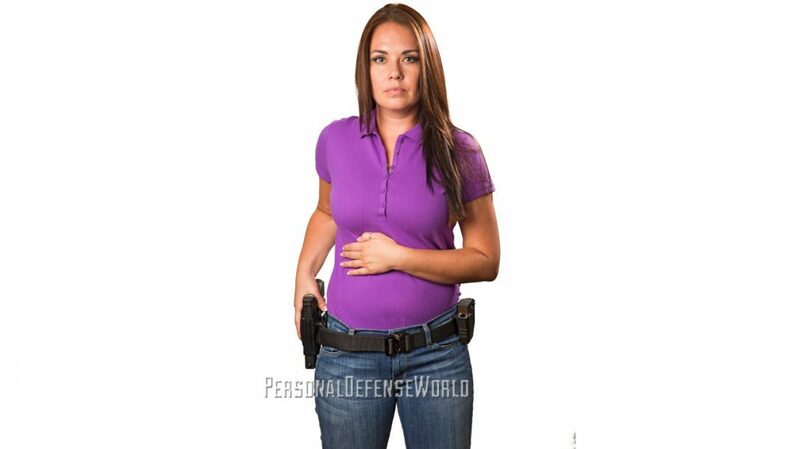 Whichever hand you are using, remember to cant (or angle slightly) the gun toward the center of your body. This turns your wrist and helps to absorb recoil. 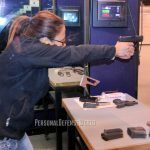 Shoot fast at the high-center chest and shoot precisely at the nose area (where there’s less bone and a better chance of penetration), and shoot with either hand as the situation dictates. You don’t have to do it all in one trip, but these are things to think about. At some point during practice, you will need to reload. 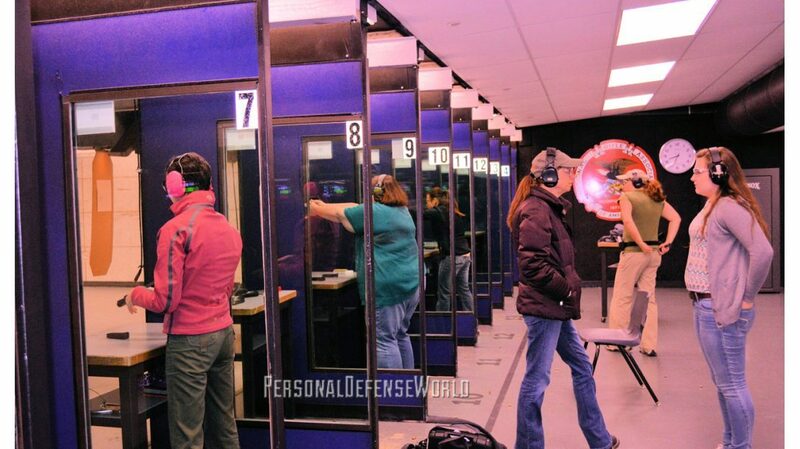 Practice reloading while not looking at the gun. 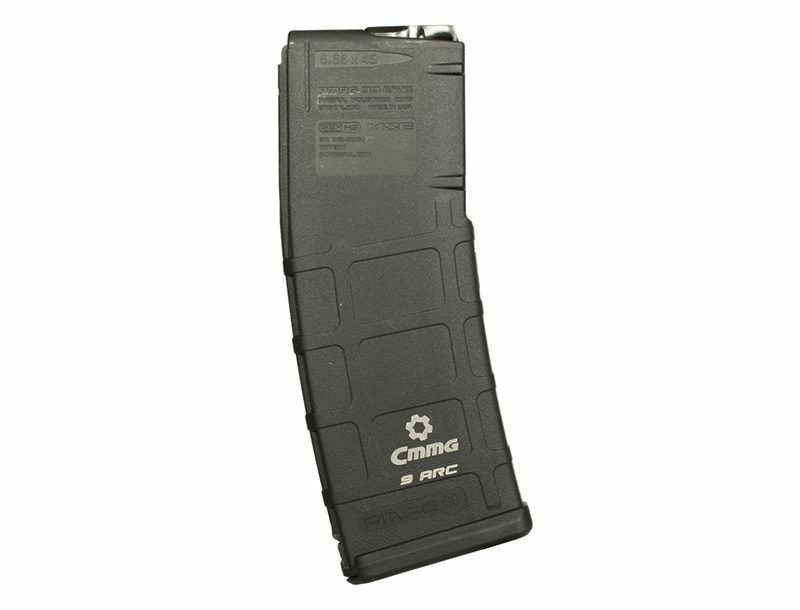 You want to be looking up and around while you drop the empty magazine, letting it fall, and reach for your spare, indexing it into the gun. There are several reasons not to look, but the best example is the “three cups of coffee and stuck in traffic” trip home. You get to your door, bladder about to burst, and try to put the key in the lock. You are under stress, and it is very hard to make the key fit in the slot. The same thing can happen with your magazine. Don’t look at it, and you’ll be fine. Yes, it takes a little practice, but you can do it! What is more fun than going to the range? Going with a friend! Everything listed above can be done alone or with a friend, but your friend can add a twist. Practicing your precision? Fire a shot and have your friend attempt to fire through the same hole. Go back and forth. This is called chasing the rabbit in the hole. Practicing driving out? Your friend can give you a command, such as “UP!” meaning draw, or drive out, and take your shots. Doing scans? Have your friend stand behind you and hold up fingers. You need to see, recognize and process the number of fingers and then face front and fire that number of rounds. The great thing about these concepts and drills is that they are not only practical and effective training for self-defense, but also enjoyable things to do. As you probably know, when something is a chore, you can be less likely to follow through on it. Shooting is FUN! Shooting with friends is even more fun. 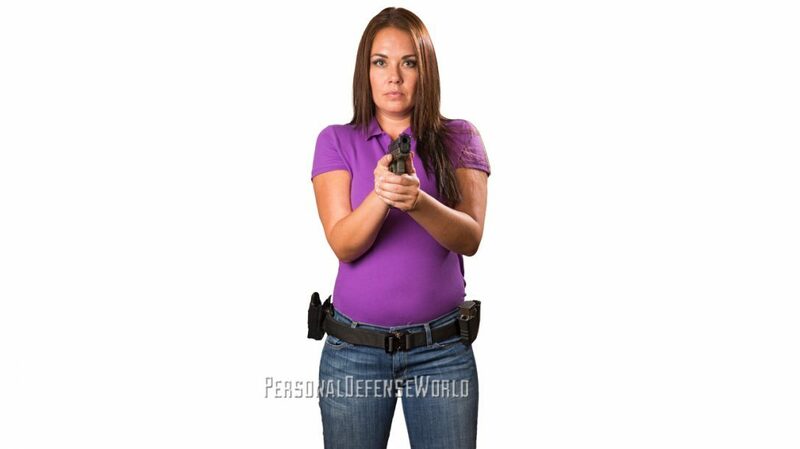 Knowing how to defend yourself and your family—that’s essential! Make the most of your range time, but remember, sometimes it’s OK to just punch holes in paper.